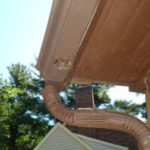 Bad rain gutters are the number one mechanical contributer to the deterioration of your home. 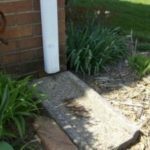 Over years of experience dealing with faulty and failing gutters, HPS has learned the main contributing factors are one or more of the following: 1) poor design, 2) defective installation, and 3) nearly all are so poorly maintained that they have suffered damage or premature deterioration. 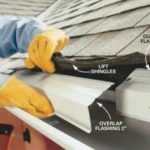 Because gutter maintenance can be difficult and time consuming for home owners, it is a commonly procrastinated chore. Many gutters are difficult or near impossible to access and require putting yourself at risk. According to a 2007 study by the Center for Injury Research and Policy: around 136,000 American’s end up in hospitals for ladder-related injuries each year. 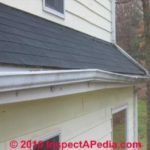 Proper gutter maintenance for homes with trees usually requires three to four cleanings a year (although for dry years, two cleanings should be enough). 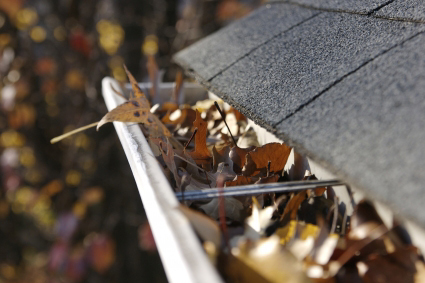 HPS professionally maintains our client’s gutters as part of our standard seasonal maintenances. For those not in our service we highly recommend using an insured professional to clean your gutters. 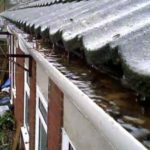 Defective gutter pitch prevents water from flowing to the downspouts. This slows the water’s evacuation and can create areas of standing water. Consequences: erosion, mosquitoes, rust through, roof damage, foundation damage, siding damage and damage to the gutter support system and roof from excess weight. Potential repair cost: $500-$10,000. 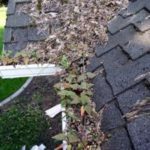 Allowing shrubs and trees to overgrow the gutters can cause considerable problems. We have seen first hand examples of Wisteria plants that have completely removed the gutters from the structure and filled both gutter and downspouts with vines to the point they are no longer functioning. Consequences: gutter, roof and structural damage, foundation damage, siding damage, window and door damage, termites, ants. Potential repair cost: $2,000- 12,000. Remember that HPS offers a free home evaluation for prospective maintenance clients where we identify problem areas and provide repair estimates.